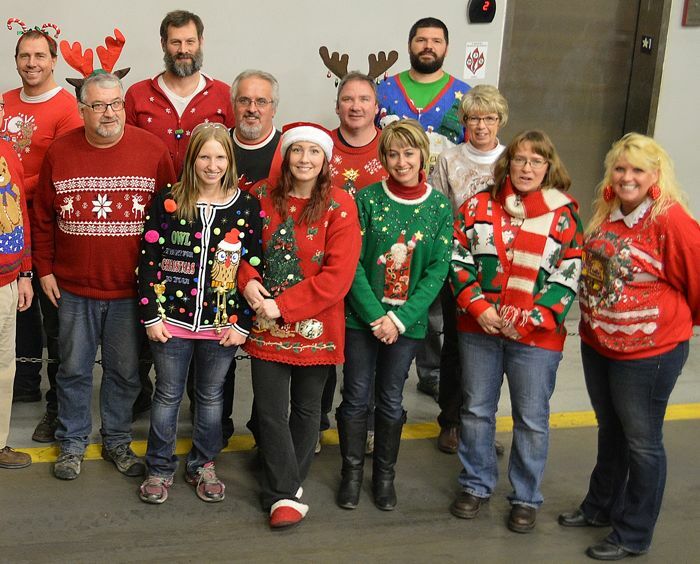 Upon further review - there truly was not an UGLY sweater in the bunch! There were some attempts to "look ugly" (pajama pants, blinking lights, to small of sweater, not even a Christmas sweater, etc.) 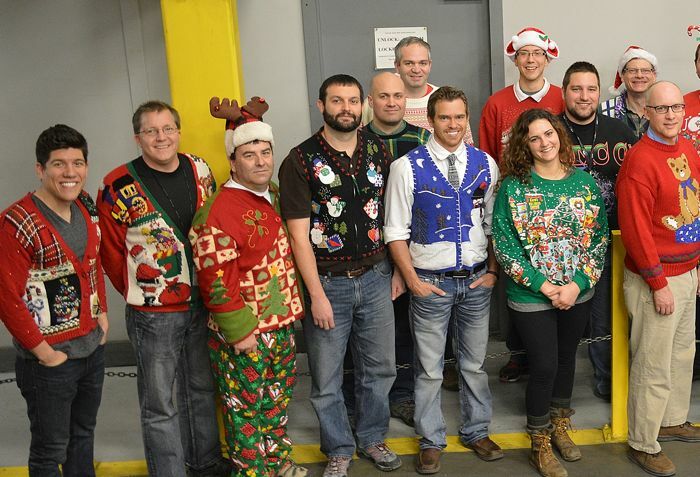 BUT REALLY - 96% of the contestants had genuine good looking Christmas sweaters on!! The Judges decisions are final: TIE - all 25 contestants! Each one will receive a $25 gift card to the company store for being a part of the fun. Start looking for that next sweater for next year." this is funny. third from left wins. or loses depending on how you look at it.